(CNN) President Donald Trump was less than thrilled last year when his personal physician recommended he get on a diet, start exercising and set a goal of losing a dozen pounds. “He was like, ‘Sh**, I have to eat healthy?’ And then he had this delicious Dover sole prepared at the White House and he really liked it,” one White House official said. A little more than a year later, Trump will undergo his second physical exam as President on Friday at the Walter Reed military hospital. As he prepares for the battery of tests to evaluate his physical health, sources close to him say he has stuck with some minor changes to improve his diet. But an exercise regimen? That’s remained elusive for the 72-year-old President. Nearly a dozen White House officials and sources close to Trump said they don’t believe he’s set foot in the fitness room in the White House residence, maintaining his view that exercise would be a waste of the energy he has always touted as one of his best attributes. By comparison, Trump’s most recent predecessors were exercise fiends. President Barack Obama played basketball until his knees began troubling him, switching later to cardio work on machines in the White House residence. White House aides, though, were confident that Trump had not followed his doctor’s advice on exercise. Asked in a Reuters interview last summer about whether he was getting exercise, the President pointed to his infrequent walks from the White House to the Eisenhower Executive Office Building, a stone’s throw away. Even as Trump’s diet has changed on the margins — with White House chefs working with a dietician to create healthier meals — the President still enjoys fast food and well-done red meat. When the Clemson University football team visited the White House last month, Trump hosted them with a spread of burgers, chicken nuggets and fries from a variety of fast food chains. Asked by CNN about any changes to the President’s diet, some people close to Trump said they had noticed none at all. Others said they noticed fewer meats and more fish on his plate. 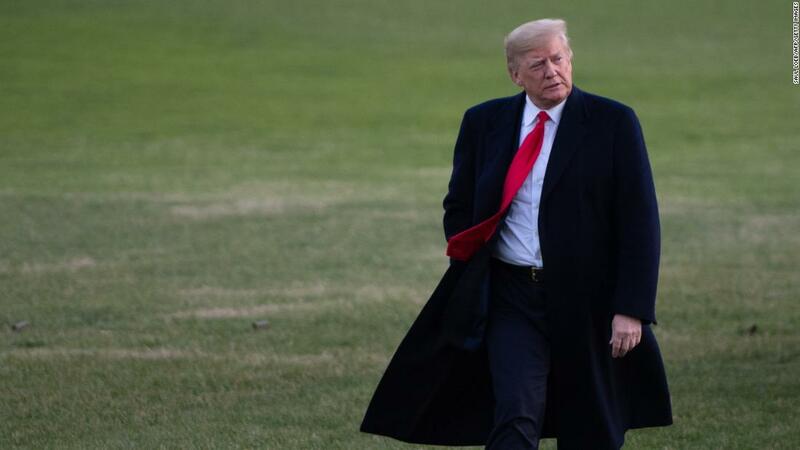 Questions about the President’s health have hung over him throughout his presidency, but came into focus a year ago when his physical exam revealed he was borderline obese. A coronary calcium scan revealed he had a common form of heart disease. Jackson disclosed that Trump’s LDL, or “bad cholesterol,” levels were also rising, prompting the President’s doctors to increase the dose of Crestor he was prescribed. Jackson’s assessment of the President’s health and his joke from the White House podium that Trump “might live to be 200 years old” if he improved his diet quickly came under fire from some medical professionals, including from within the White House’s medical unit. Four current and former White House Medical Unit staff members told CNN they were ashamed of Jackson’s rosy assessment of Trump’s health despite the publicly released data clearly showing a different picture. “You’re being a hypocrite when you’re saying he’s in excellent health,” the doctor added. While Jackson vouched for Trump’s mental acuity, saying he found the President to be “very sharp,” the Montreal Cognitive Assessment that Trump aced can be used to identify some cognitive issues like the early stages of dementia but is not intended to rule out all cognitive deficiencies or mental impairments. Jackson’s appearance in the White House briefing room was an anomaly; past White House physicians usually disclosed details of the President’s health in paper form, declaring in brief statements that they found the commander in chief fit for duty but rarely expanding beyond a set of figures and results. The last White House doctor to brief reporters regularly in person was Dr. William Lukash, President Gerald Ford’s physician. Trump, though, was thrilled with Jackson’s turn at the White House podium, telling his aides as much over the next several days. Two months later, the President nominated Jackson to serve as secretary of veterans affairs. The allegations prompted the Defense Department’s inspector general to launch an investigation into Jackson, but Trump hasn’t wavered in his affinity for the smooth-talking Texan. Jackson, though, is not expected to take part in Trump’s physical exam Friday. Instead, the President’s exam will likely be overseen by Dr. Sean Conley, a Navy commander who succeeded Jackson as physician to the President. Conley, who served in Afghanistan, has kept a lower profile in the job. He’s one of a rotating group of physicians who accompany the President on trips and plan for medical contingencies. As of now, he is not expected to offer a public briefing on Trump’s health, opting instead for a neat paper statement. Afterward they returned to the clubhouse, where Trump’s normal order includes either a cheeseburger or a few hot dogs.